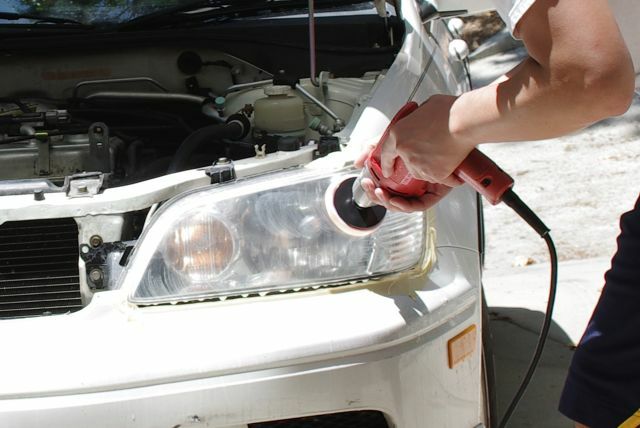 Headlights can get cloudy and dull over time, especially if parked outside a lot. I tried out a restoration kit by 3M that has got a lot of good reviews. It's an attachment for a power drill that includes different grades of sandpaper and buffing pads. It helps speed up the process of sanding away the top cloudy layer and buffing the plastic back to its original transparency. It took me about an hour to do both sides. My friends say I'm pretty handy.